Limited street parking is available on Liberty Avenue and free after 6pm. Additionally, parking is available at the nearby Smithfield Liberty Garage and Greyhound Transportation Center, as well as at parking garages throughout the Cultural District and downtown area. Check www.parkpgh.org or download their app for real-time updates on available parking downtown. 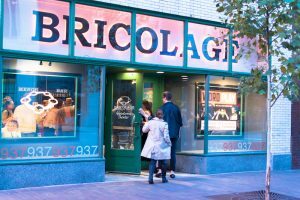 Check out all the great restaurants and bars near Bricolage!